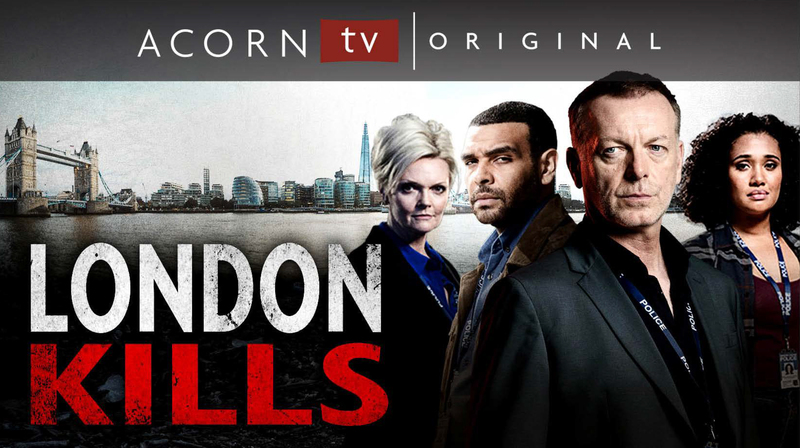 January 10, 2019 – Acorn TV announces its February 2019 U.S. slate featuring the first straight-to-series commission with the first season of gripping British crime drama LONDON KILLS (Mon., Feb. 25); a new season of hit Cornwall drama DELICIOUS starring Dawn French and Emilia Fox with Iain Glen (Mon., Feb. 11, Trailer); acclaimed Dutch disappearance drama THE OLDENHEIM TWELVE (Mon., Feb. 18); and more new episodes of smash hit MURDOCH MYSTERIES, Season 12 (Mondays); plus the streaming exclusive of the final seasons of James Nesbitt’s undercover cop drama MURPHY’S LAW and several BBC programs featuring such stars as Cara Theobold (Downton Abbey, Absentia), two-time Oscar nominee Samantha Morton (The Walking Dead, The Last Panther, Sweet and Lowdown) and Toby Jones. Third season of BBC and BBC America’s hit undercover cop series, starring James Nesbitt (The Hobbit trilogy, Cold Feet) as a maverick undercover cop driven to the brink of self-destruction. Taking on the biggest challenge of his career, Tommy Murphy poses as a hit man to bring down a London crime boss and cop killer. He goes deeper underground than ever, faking an assassination, putting his life at risk, and sabotaging a complex, costly police operation in pursuit of a bigger prize. Guest stars include two-time Oscar nominee Michael Fassbender (X-Men: First Class, Alien, Inglourious Basterds). WATCH NOW: Premieres will be added as they become available. http://press.rlje.net/. Mirror to your TV via Apple TV or Chromecast. DVDs available upon request.